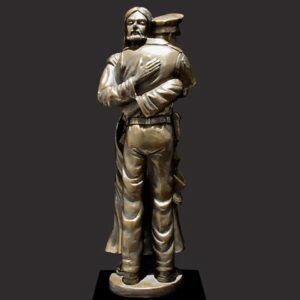 This sculpture shows playfulness, intimacy and love in a special relationship between father and son. 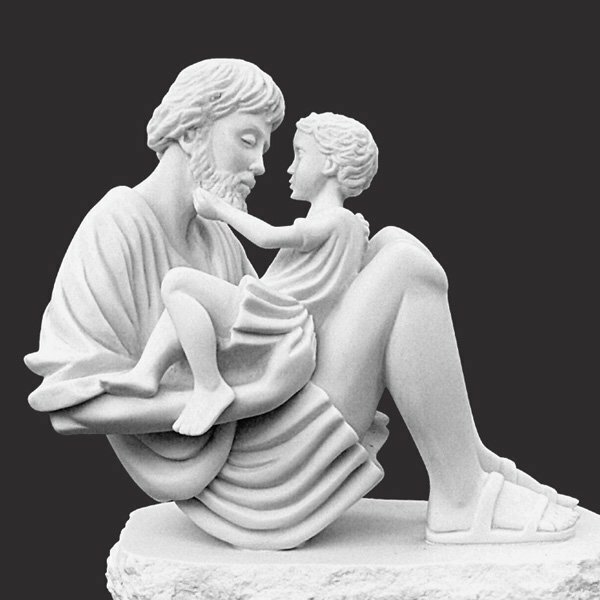 The link between the two is expressed by the infant Jesus touching Joseph’s face as a sort of bridge between them. 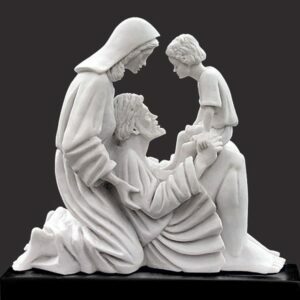 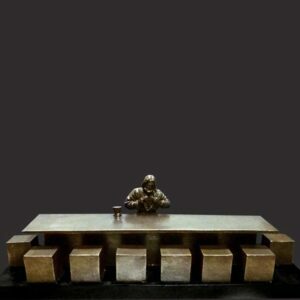 This solid resin-stone cast is left in its natural Carrara white color and is mounted on a solid matt black base. 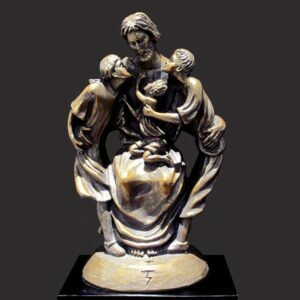 Timothy personally sculpts every original small masterpiece complete with his signature or monogram. 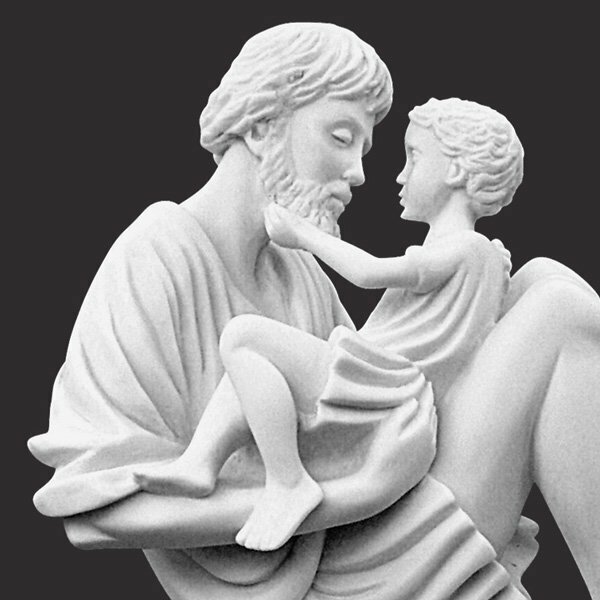 Each replica is detailed by hand to the exacting standards of this modern day master sculptor.